As you prepare your resume, consider the job description. Look at the job title, and look at the desired qualifications. These items will give you a feel for the keywords that you should use in your resume to catch the attention of a potential employer. Use of these keywords will show that you know what the employer is looking for, and that you are a good fit for the job. You can use keywords when describing your former positions. If a job title you had previously does not appear to be an obvious match to the position you are applying for, you can use parentheses, after the job title, to be clear about what you did. If you are applying for a bookkeeping position, but your old title was “office manager”, that is not very descriptive. But, if you were in charge of bookkeeping duties, you can make this a little more clear by stating “Office Manager (Accounting)” or “Office Manager (Bookkeeping)”. Use keywords when describing your past accomplishments and job duties as well. If you can show that you have experience in just what the employer is looking for, you will look more like a good candidate. Try to find action words to describe your accomplishments and past duties. Instead of saying “I was in charge of accounts receivable”, use something like “Oversaw accounts receivable.” Action words can move the reader, and help you appear more interesting. Additionally, it helps cut down on words used, and can provide your resume with a clean, attractive look. When possible, use keywords as part of your efforts. Rather than including a list of everything you have ever done, consider editing your resume so that the most relevant items are emphasized. This is especially important if you have limited space (a resume should not exceed two pages). Formatting and keywords can help you draw attention to the most relevant portions of your past experience, and you can cut some of the clutter by removing items that are of little importance to the position at hand. 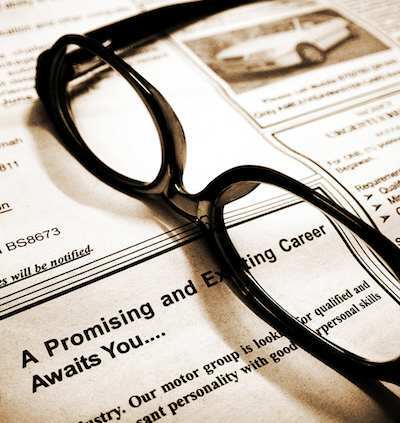 You can stand out with a properly formatted resume. Look through different templates and determine which is most likely to fit your personality and the position you are applying for. Make sure that your margins are regular, the font is readable, and the resume has a clean look. Re-read your resume to ensure that grammar and spelling are correct, and that this is the resume tailored for the specific position you are applying for. Also have an up to date LinkedIn account. That is another great way to have more than one page of information nicely laid out!